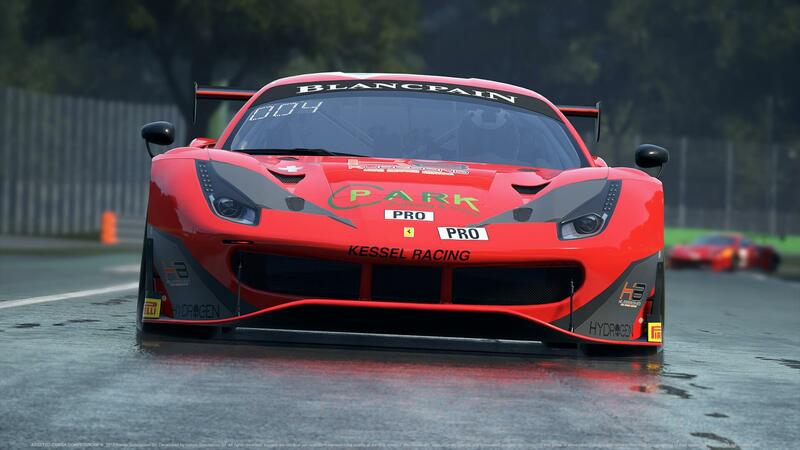 Discussion in 'Assetto Corsa Competizione' started by GTPNewsWire, Sep 6, 2018. This article was published by Jordan Greer (@Jordan) on September 6th, 2018 in the Assetto Corsa Competizione category. GTnForza4ever and JoueurGT like this. It's a great pricing structure. Aris is also doing blogs on the Kunos forum talking in depth of the physics, tire, weather and aerodynamic models. JoueurGT, Whodoyouthink and Johnnypenso like this. Pricing themselves this low was a very good idea, I was expecting them to get butchered for the low amount of content at EA launch but this might help againest that. I dont really agree. It looks cheap and good but you dont really know what you are buying. They clearly said its not AC 2. Its Competizione with the Blancpain license and the GT3 Cars. So we dont really know if other race cars will be available or normal road cars. Or what about modding? Assetto Corsa got famous because of the nice physics and the cars (especially road cars. Most of the driven cars online are road cars). Modding plays a big role in AC aswell. If we assume that ACC will just be GT 3 cars then 25bucks is not that cheap. Look at the price of AC with Gt 3 cars and normal cars and modding. I'm in, I'm getting ACC. I want Zolder with Kunos quality. Dopplegagger and Johnnypenso like this. I'm a bit confuse here, so if i buy the first early access, i dont have to pay for the next one? or do i have to pay for every release each month? It's a definite day one purchase! You only pay once and you will get the same content as everyone else, but the more you wait, the more you pay. Echo_29, JoueurGT, davidt33 and 4 others like this. It's been extremely clear since the games announcement on 21 February. It will cover the 2018 Blancpain series, no cars or tracks outside of the series will be included. Modding will not be officially supported but Stefano said the door will not be closed to those that can mod within the UE4 engine. Getting in next week at 40% off is good value to me. Whitestar, Imari, Whodoyouthink and 3 others like this. It's $29.99 for the entire game if you buy in during build one. Imari, Whodoyouthink, Dopplegagger and 2 others like this. I know right!?!?!? I think they're trying to compete with iRacing. Should be more expensive than iRacing if they want to really beat them though. I think each release should be $35 for 1 car and 1 track. It's worth it. Is not $25 for each release, you pay $25 today and get to play all early access builds plus the full game when is released. The whole point is getting to play earlier and pay less for the full product, however I don't like this drip feed type of content releasing, specially when is clear they have cars and tracks ready to go already evidenced by their demo builds they had through the year. I get that early access is not supposed to be like a full release, but at $25 you should have a bit more of a bang for your buck, racing against AI's in huracans at nurb for a whole month doesn't seem worth $25, maybe in December when there's a few more cars tracks and features it might be. Echo_29, davidt33, SleezyBigSlim and 2 others like this. Is it really that hard to understand?!? Whitestar, lancia delta hf, DinaMuS and 1 other person like this. I love the Blancpain series and I'm really looking forward to this. Sadly, I have to wait and hope that it's released on PS5. I did get a small taste at Spa, though, and walked away impressed by the feel and the visuals. gt_fan and DinaMuS like this. Was my sarcasm really not obvious enough...? Whitestar, Dopplegagger, PzR Slim and 1 other person like this. Didn't see it, I do now though. Sorry, been seeing the confusion with the price structure on 4 different sites all day. Some really think they have to pay for each build. These people drive cars, on public highways. lancia delta hf, th3o, PzR Slim and 2 others like this. Don't forget that the average driver is only average - and that's pretty dim! It seems fair to me. I get Early Access, and over time, I'll get the full game, all for $30 or so. Honestly, $30 is the most I would pay for ACC anyways, so this slow feed is fine. Just as long as the quality on the cars and tracks is consistent. That's all that matters to me. Well, who says al the cars and tracks are ready just because we have seen them? They haven't stopped working on the phyiscs, they also clearly want to concentrate the feedback in one area. Corsa and Dopplegagger like this. What about the others cars? We get only Lambo and Nurb? On each release we get 1 car, so there will be 6 of them? What about the cars we already saw on ingame screenshots, I'm talking about Porsche, Mercedes, McLaren, Audi etc. There is also nothing about other tracks. For those who are confused about the pricing, have you ever went to Kunos' page about the pricing, or did your inquiry begin and end with Jordan Greer's GTPlanet article? The game is not complete. EA gives us one car/track per month. As you said we'll have 6 cars, 6 tracks by the end of February. There will be 11 manufacturers representing 12 cars in the complete game releasing Q1 2019. Here is the full car list. Here is the full track list. EA is a time of working out bugs, taking community feedback, and slowly introducing game features to make sure everything runs linear at 1.0 launch. Dopplegagger, user3392345 and th3o like this. You pay 25€ for the complete game! Early Access games are that cheap because its not finished, they add more and more content till it is finished. Early access begins on September 12, for €24.99 on Steam. That’s pretty cheap, though the initial build will only include the Lamborghini Huracan GT3, the Nurburgring GP circuit, and a few basic game modes like “Special Events”, “Hotlap”, and “Quick Race” against AI players. The real value comes over the long term, however, as the early access pricing offers an effective 45% discount on the final price of the game which will contain a lot more content. Reading: it does wonders. What this has to do with another game entirely is beyond me. Whitestar, user3392345 and Imari like this. I think for those of us that took part in the original Assetto Corsa early access and were happy with both that and their post-release support, this is an exceptional deal. To be honest, I've gotten enough value out of AC over the years that this doesn't feel like a gamble. This feels like money that Kunos have earned through their hard work. I'm happy to give it to them, and if I get some cool early access content and a great game in return for that, so much the better. I feel about Kunos much the same as I feel about CDPR. They're one of the few developers that has provided such good value that I am happy to give them more money because I generally feel like I haven't given them enough for the entertainment I've received so far. Each to their own though. In general pre-ordering or early access is a poor idea unless you're really willing to throw that money away. Kunos has done a reasonable job of outlining the project timeline, and unlike a dodgy Kickstarter there's no real chance that they don't deliver at all, it's just a question of the quality and content of the final product. For those who have doubts or to whom this seems like a poor deal, the right choice is to not buy into it. There's nothing wrong with that, it's a rational decision. I suspect Kunos have deliberately limited the content available both to focus the testing that they'll receive and to dissuade Johnny Public from just jumping in on a cheap deal and being disappointed. One of the downsides of early access is that people's initial exposure to a product is in a state where it's not finished, and so that's not necessarily something that you want to put in front of people that you're trying to win over. There will be plenty of time to buy in once the full game is released, and it won't be that much more expensive. For anyone with even the slightest doubts, the thing to do is give it time. 35mm, Whitestar and th3o like this. I can't remember the last time i read something that was so much on point. Well done, sir.